SPRING SPORTS 2018: PAGE 7 PRESS & DAKOTAN n PLAIN TALK NEBRASKA BOYS’ TRACK & FIELD Bloomfield COACH: Duane Wilken ASSISTANTS: Kirk Hamm, Lacey Thies, Jeff Fehringer, Brian Eisenhauer VITALS: Class D RETURNING: Dade Davis (So. ); Travis Doerr (Sr., state qualifier in pole vault); Jackson Eisenhauer (Sr.); Braden Eisenhauer (So. ); Will Fehringer (Jr.); Dawson French (Sr.); Trenton Holz (Jr.); Jared Horback (Sr.); Adam Johnson (Jr.); Cory Martinson (So. 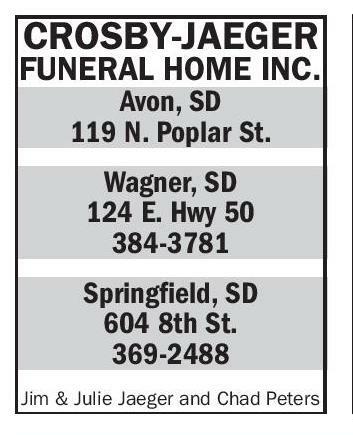 ); Quinten Moles (Sr.) Crofton COACH: Rod Hegge VITALS: Class C ROSTER: Max Boecker (Sr.); Dylan Hoffman (Sr.); Tanner Arens (Jr., state qualifier in 1600); Connor Dahl (Jr.); Tyler Janssen (Jr.); Thomas Stewart (Jr.); Payton Bartels (So. ); Paul Burbach (So. ); Cody Crosley (So. ); Andy Knapp (So. ); Gabriel Potts (So. ); Justin Potts (So. ); Connor Arens (Fr. ); Calvin Dather (Fr. ); Matthew Dohrman (Fr. ); Sam Tegral (Fr. ); Colby Zuhlke (Fr.) Crofton High School senior Haley Arens is looking to repeat her success from last year’s Nebraska State Track Meet, where she won the 3200-meter run and finished second in the 800 and 1600. Arens is a University of South Dakota cross country and track recruit. Hartington-Newcastle COACH: Blair Kalin VITALS: Class C LAST YEAR: The Wildcats won their conference and district meets ROSTER: Brian Santiago (Sr., 2nd at state in 3200, 3rd in 1600); Cole Schmidt (Sr.); Alex Kneifl (Sr.); Aaron Olsen (Sr.); Turner Korth (Jr.); Lincoln McPhillips (Jr., state qualifier in high jump); Austin Burcham (Jr.); Carter Lammers (So. ); Sam Harms (So. ); Michael Pinkelman (So. ); Gabe Krie (So. ); Matt Meisenheimer (So. ); Zach Burbach (So. ); Shaye Morten (So. ); Cole Steffensen (Fr. ); C.J. Coffin (Fr. 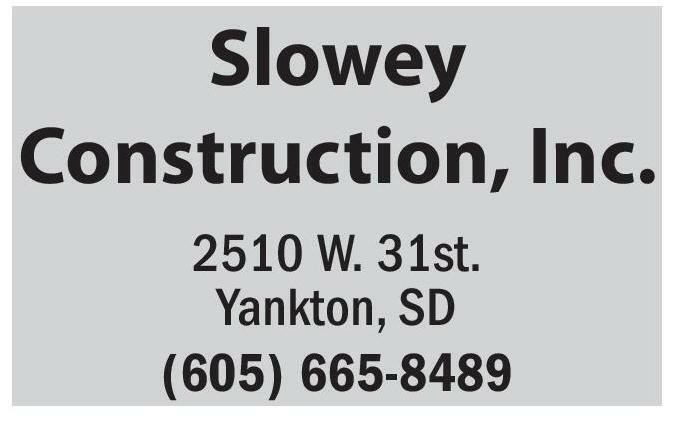 ); Shawn Pinkelman Crofton’s Haley Arens Continues To Push For Better In Her Final Season BY JEREMY HOECK jeremy.hoeck@yankton.net CROFTON, Neb. 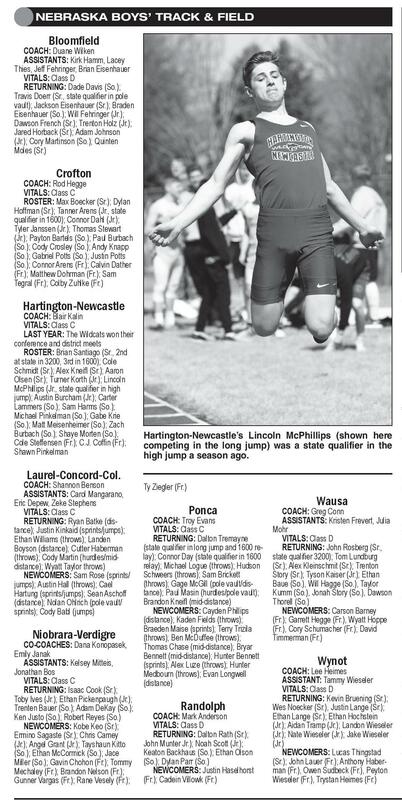 — Haley Hartington-Newcastle’s Lincoln McPhillips (shown here Arens walked into a small competing in the long jump) was a state qualifier in the classroom after school high jump a season ago. one day in late March and proudly displayed a medal around her neck over a ‘State COACH: Shannon Benson Speech’ t-shirt. Ty Ziegler (Fr.) ASSISTANTS: Carol Mangarano, It’s a tradition, she said. Wausa Eric Depew, Zeke Stephens Three days earlier, she Ponca COACH: Greg Conn VITALS: Class C COACH: Troy Evans ASSISTANTS: Kristen Frevert, Julia had captured third place in RETURNING: Ryan Batke (disPersuasive Speaking at the VITALS: Class C Mohr tance); Justin Kinkaid (sprints/jumps); Nebraska State Speech ChamRETURNING: Dalton Tremayne VITALS: Class D Ethan Williams (throws); Landen (state qualifier in long jump and 1600 reRETURNING: John Rosberg (Sr., Boyson (distance); Cutter Haberman pionships in Kearney. lay); Connor Day (state qualifier in 1600 state qualifier 3200); Tom Lundburg (throws); Cody Martin (hurdles/midThis was going to be a relay); Michael Logue (throws); Hudson (Sr.); Alex Kleinschmit (Sr.); Trenton distance); Wyatt Taylor throws) chat about track, though, Story (Sr.); Tyson Kaiser (Jr.); Ethan NEWCOMERS: Sam Rose (sprints/ Schweers (throws); Sam Brickett but the Crofton High School (throws); Gage McGill (pole vault/disBaue (So. ), Will Hagge (So. ), Taylor jumps); Austin Hall (throws); Cael tance); Paul Masin (hurdles/pole vault); Kumm (So. ), Jonah Story (So. ), Dawson senior clearly displayed that Hartung (sprints/jumps); Sean Aschoff talent for persuasive speakBrandon Kneifl (mid-distance) Thorell (So.) (distance); Nolan Ohlrich (pole vault/ NEWCOMERS: Cayden Phillips NEWCOMERS: Carson Barney ing. You ask her a question sprints); Cody Babl (jumps) (distance); Kaden Fields (throws); (Fr. ); Garrett Hegge (Fr. ), Wyatt Hoppe about following up last year’s Braeden Maise (sprints); Terry Trizila (Fr. ), Cory Schumacher (Fr. ); David success at the State Track Niobrara-Verdigre (throws); Ben McDuffee (throws); Timmerman (Fr.) Meet and Arens launched CO-COACHES: Dana Konopasek, Thomas Chase (mid-distance); Bryar into a response about gradual Emily Janak Bennett (mid-distance); Hunter Bennett Wynot progression. ASSISTANTS: Kelsey Mitteis, (sprints); Alex Luze (throws); Hunter COACH: Lee Heimes Jonathan Bos “My goal was to improve Medbourn (throws); Evan Longwell ASSISTANT: Tammy Wieseler VITALS: Class C (distance) from previously how I’ve VITALS: Class D RETURNING: Isaac Cook (Sr.); done,” Arens said. “That kind RETURNING: Kevin Bruening (Sr.); Toby Ives (Jr.); Ethan Pickenpaugh (Jr.); of mentality will still stick Randolph Wes Noecker (Sr.), Justin Lange (Sr.); Trenten Bauer (So. ); Adam DeKay (So. ); with me.” COACH: Mark Anderson Ethan Lange (Sr.); Ethan Hochstein Ken Justo (So. ); Robert Reyes (So.) Put another way: It’s VITALS: Class D (Jr.); Aidan Tramp (Jr.); Landon Wieseler NEWCOMERS: Kobe Keo (Sr.); RETURNING: Dalton Rath (Sr.); (Jr.); Nate Wieseler (Jr.); Jake Wieseler always about growth and Ermino Sagaste (Sr.); Chris Camey John Munter Jr.); Noah Scott (Jr.); (Jr.) (Jr.); Angel Grant (Jr.); Tayshaun Kitto incremental development Keaton Backhaus (So. ); Ethan Olson NEWCOMERS: Lucas Thingstad (So. ); Ethan McCormick (So. ); Jace with her. (Sr.); John Lauer (Fr. ); Anthony HaberMiller (So. ); Gavin Chohon (Fr. ); Tommy (So. ); Dylan Parr (So.) She just happened to peak NEWCOMERS: Justin Haselhorst man (Fr. ), Owen Sudbeck (Fr. ), Peyton Mechaley (Fr. ); Brandon Nelson (Fr. ); at the end of last season, (Fr. ); Cadein Villowk (Fr.) Wieseler (Fr. ), Trystan Heimes (Fr.) Gunner Vargas (Fr. ); Rane Vesely (Fr. ); Laurel-Concord-Col. S.D. Girls FROM PAGE 6 Shandie Ludwig (Fr. ); Anne Petra (Fr. ); Jaley Reed (Fr. ); Emma Scarmon (Fr. ); Addison Stabe (Fr. ); Lani Stokely (Fr. ); Cameron Waterman (Fr.) (Fr., throws); Odalite Pankratz (Fr., sprints/jumps); Kristen Wieman (Fr., distance); Maria Cortez (8th, throws); Angelyn Allison (7th, sprints); Emilee Brown (7th, sprints); Alyssa Dent (7th, mid-distance); Leah Goodwin (7th, throws); Jada Koerner (7th, mid-distance); Alivea Weber (7th, mid-distance) NEWCOMERS: Alexa Gortmaker (6th, sprints); Hadley Luke (6th, distance); Jessica Paschal (6th, sprints) Ethan-Parkston COACH: Emily Evans ASSISTANTS: Tim Hawkins, Jerry Norton, Michael Freeman, Jared Digmann VITALS: Region 5A RETURNING: Kailee Schnabel (Sr., sprints); Patience Neshiem (Jr., sprints); Mollie Miiller (Jr., pole vault/ mid-distance); Maddie Miiller (So., long jump/mid-distance); McKenzie Prunty (Jr., pole vault/hurdles); Lindsey Roth (8th, distance); Izzy Hohn (Fr., long jump/triple jump/sprints); Hannah Braley (So., hurdles/sprints) NEWCOMERS: Adalya Plastow (Fr., hurdles/distance/mid-distance); Izzy Kinneberg (Fr., hurdles/sprints); Gabby Sonne (Fr., throws); Morgan Hinckley (Fr., distance/mid-distance); Jalen Kirtenbach (Fr., sprints/mid-distance); Elly Hohn (Fr., throws/sprints); Vanessa Klinetobe (Fr., throws) Freeman Academy/ Marion CO-COACHES: Suzanne Koerner, Jerry Kippes ASSISTANTS: Will Massey, Dan Haggerty, Cullen Mack VITALS: Region 5B ROSTER: Annie Carlson (Sr., sprints/jumps); Rachel Miller (Sr., sprints/jumps); Amy Ptak (Sr., sprints/ jumps); Michele Schoenwald (Sr., sprints/jumps, 9th at state in high jump); Kaitlyn Epp (Jr., throws); Emily Heeg (Jr., sprints); Katelyn Johansen (Jr., throws); Kelly Liu (Jr., sprints); Jessica Sun (Jr., mid-distance); Andrea Wollman (Jr., sprints/hurdles); Jessica Langerock Gayville-Volin COACH: Jeremiah Dibley ASSISTANTS: Larry Buffington, Bobbie Moehring, Tom Rice, Gene Bormann VITALS: Region 5B LAST YEAR: The Raiders finished third at the Class B state meet ROSTER: Lanny Clark (Sr., member of third-place 3200 relay at state); Sarah Buckman (Sr., state qualifier); Jayden Engen (Sr., member of 3200 relay); Meghan Buckman (Sr., state qualifier); Poppy Phanduangnetr (Sr.); Beth Rodasky (Sr.); Heather Maier (Jr.); Sally Quatier (So. ); Nina Pennington (So. ); Olivia Petrik (So. ); Paige Wise (So. ); Shaela Wuestewald (So. ); Bree Gilbery (So., 4th at state in pole vault); Baylee Prather (So. ); Kylie Hausman (So. ); Sydney Kuhnert (So. ); Kayla VanOsdel (Fr. ); Sam Olson (Fr. ); Grace Gustad (Fr. ); Taryn Barnett (Fr. ), Jadyn Hubbard (8th); Molly Larson (8th, state qualifier); Maddy Fairley (8th, 4th at state in 3200, 15th in 1600); Tayah Staton (8th); Liz Marshall (8th); Lily Hunsley (8th); McKena Novak (8th) Irene-Wakonda COACH: Brent Mutchelknaus ASSISTANTS: Bridget Healy, Mike King, Landra Knodel VITALS: Region 5B RETURNING: Kaylee Hansen (Sr., sprints); Kayla Meyer (Sr., throws); Maddie Mohr (Sr., jumps/sprints); Shannon O’Malley (Sr., jumps/sprints); Monica Van Driel (Sr., mid-distance); Ashley Emmick (Jr., pole vault/mid-distance); Kenzie Johnke (Jr., sprints); Kaylen “For Those Who Insist On The Best” Water • Smoke • Mold • Fire 665-4839 Scotland Inv. 2 p.m. Burnell Glanzer Inv. (Armour)	2 p.m. Wagner Relays	2 p.m. Avon Inv. 4:30 p.m. South Dakota/Nebraska Challenge (Tyndall)	2 p.m. Flevares Relays (Tyndall)	4:30 p.m. Great Plains Conf. (Burke)	11 a.m. Little Missouri Valley Conf. 2 p.m. 5/4	5/4-5	5/8	5/11	O’Gorman Inv. 9 a.m. Howard Wood Dakota Relays Fort Randall Conf. (Avon)	1 p.m. Lezlie Blasius-KWL Inv. 3 p.m. (at Avon) (at Kimball) 4/6	4/12	4/20	4/25	4/27	Class B Classic	(at Lakeview GC, Mitchell) 10 a.m. Southeast S.D. Small School	9 a.m. (at Fox Run GC, Yankton) BSC/Gregory Inv. 10 a.m. (Boys at Burke, Girls at Gregory) Gayville-Volin Inv. (Fox Run)	9 a.m. Avon/Scotland Inv. 10 a.m. (Boys at Bon Homme CC, Girls at Scotland) 5/4	5/11	PG/BSC Inv. 10 a.m. Avon/Bon Homme Inv. 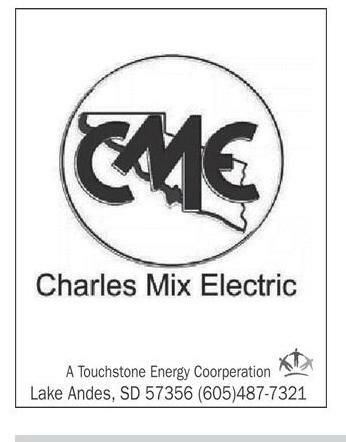 10 a.m. (Boys at Platte, Girls at Burke) (Boys at Bon Homme CC, Girls at Springfield) 5/18	COACH: Matt Maxon ASSISTANTS: Christa Peterson, Marc Aisenbrey, Haley Whalen VITALS: Region 5A ROSTER: Candice Knutson (Sr.); MaKenzie OberBroekling (Sr.); Averi Tegethoff (Sr.); Hailey Wagner (Sr.); Camryn Boljtes (Jr.); Katelyn Engebretson (Jr.); Ally Holter (Jr.); Maggie Huizenga (Jr.); Delaney Millar (Jr.); Sawyer Naasz (Jr.); Courtney Neuman (Jr.); Tori Weins (Jr.); Miranda Chaney (So. ); Alayah Nachtigal (So. ); Raegan Stegmeier (So. ); Alexis Bultje (Fr. ); Kally Millar (Fr. ); Carly Reiser (Fr. ); Kelly Scotland COACH: Gary Pepper ASSISTANTS: Chris McGregor, Calvin Hunhoff VITALS: Region 6B RETURNING: Taylor Gall (Sr., 6th at state in pole vault); Grace Fryda (Fr., 8th at state in long jump); Makayla Frederich (Fr., state qualifier in shot put); Taylor Bietz (Sr.); Kelsi Nooney (Jr.); Nicole Flynn (Jr.); Kaiti Kannegieter (Jr.); Tristony McDaugale (Jr.); Issabela Vitek (Jr.); Kennedy Bietz (Fr. ); Annabella Hlavac (Fr. ); Audrey Sayler (8th); Tatum Andretta (8th) NEWCOMERS: Margaux Prayer (Sr.); Kiana Banta (So. ); Zoe Steinberg (Fr. ); Deanie VanDriel (8th); Keegan Baker (7th); Bailey Vitek (7th) Whitney (Jr.), Baylee Gerber (Jr.), Marie Zolnowsky (Jr.), Dianne Yashyna (Jr.), Kianna Payer (So. ), Ally Bertram (Fr. ), Hannah Whitney (Fr. ), Ashlee Gerber (Fr. ), Faith Werkmeister (Fr. ), Bailey Spaans (Fr. ), Kira Porter (Fr. ), Jordan Ziebart (8th), Emma Fink (8th), Hannah Stremick (7th) Estelle Lee (7th); Shelby Lyons (7th); Coral Mason (7th); Morgan Lee (7th); Madelyn Vasgaard (7th) Viborg-Hurley COACH: Bill Hansen ASSISTANTS: John Nyhaug, Tyler Novak, Robbie Kessler VITALS: Region 5B LAST YEAR: The Cougars won the Tri-Valley Conference and region meets, then finished fifth at state RETURNING: Savannah Westrom (Sr., sprints/jumps); Steffanie Murphy (Sr., throws); Holly Richards (Jr., hurdles/sprints, 6th at state in 100 hurdles, member of state champion medley relay); Kaylee Kropeunske (Jr., sprints/hurdles/jumps); Tori Hansen (Jr., sprints/mid-distance, state qualifier in relay); Brianna Johnson (Jr., sprints/ jumps/mid-distance); Skyler Kludt (Jr., distance/high jump); Rachelle Leber (So., mid-distance); Kassidy Lyons (So., throws); Kallie Lee (Fr., throws); Nevaeh Ronke (Fr., mid-distance); Taylor Johnke (Fr., sprints); Rachel Christensen (Fr., throws) NEWCOMERS: Delana Mach (8th); CROSBY-JAEGER FUNERAL HOME INC. Avon, SD 119 N. Poplar St. Wagner, SD 124 E. Hwy 50 384-3781 Tripp-Delmont-Armour COACH: Ron Weber ASSISTANTS: Lee Irvine, Mandi Holbeck VITALS: Region 6B RETURNING: Brooklyn Brouwer (Sr.), Erica Koster (Sr.), Paige Neugebauer (Sr.), Mattilynn Reiner (Jr.), Alyssa Springfield, SD 604 8th St. 369-2488 ARENS | PAGE 8 Wagner COACH: Joseph Kafka ASSISTANTS: Jason Knebel, Matt Slaba, Jenny Zephier, Chad Peters VITALS: Region 5A RETURNING: Taylor Eitemiller (Sr., state qualifier in 800 and 1600); Abby Freier (Sr., state qualifier in 800); Janae Patterson (Sr., 3rd at state in discus); Josi Bouza (Sr.); Carolyn Blaha (Sr.); Halley Zephier (Sr.); Aneissa Olson (Jr.); Maggie Barnett (Jr.); Britney Krcil (Jr., 6th at state in pole vault); Kirstyn Roth (Jr.); Joanna Soukup (Jr.); Faith Tyler (Jr.); Payton Mora (So. ); Alex Zephier (So. ); Rose Eitemiller (So. ); Danielle Twiss (So. ); Isabella Cournoyer (So. ); Abby Brunsing (Fr. ); Alcista Dion (8th, state qualifier in 1600 and 3200) NEWCOMERS: Haley Drapeaux (Jr.); Megan Merkwan (Jr.); Isces Langdeaux (So. ); Deisha Medicine Horn (So. ); Keanna Ligtenberg (Fr. ); Michelle Soukup (Fr. ); Mikayla Janis (Fr. ); Ciara Nelson (Fr. ); CayDynce Olson (Fr. ); Faith Podzimek (Fr. 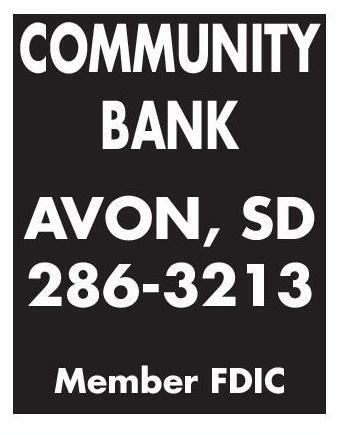 ); Lizzie Tyler (7th); Eve Zephier (7th) COMMUNITY BANK AVON, SD 286-3213 Member FDIC Jim & Julie Jaeger and Chad Peters • Grain • Fertilizer • Feed • Chemical Needs AVON, SD PH. 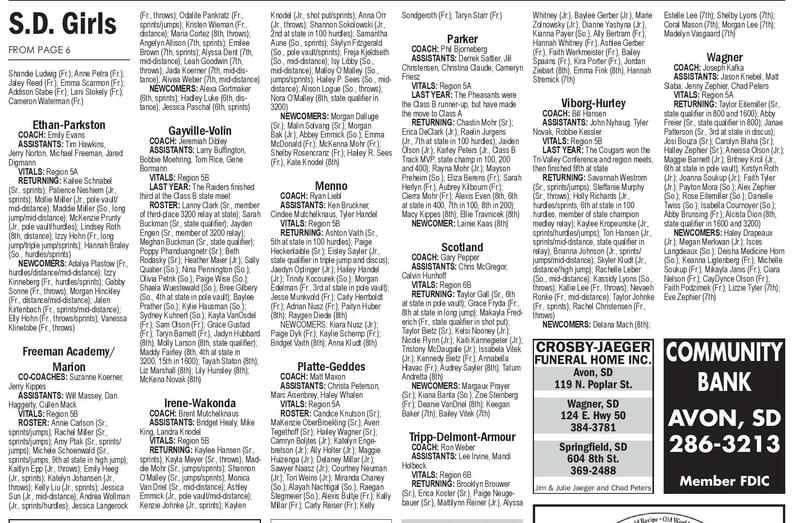 286-3297 AVON PIRATES 4/3	4/5	4/10	4/13	4/17	4/20	4/24	5/1	Platte-Geddes Parker COACH: Phil Bjorneberg ASSISTANTS: Derrek Sattler, Jill Christensen, Christina Claude, Cameryn Friesz VITALS: Region 5A LAST YEAR: The Pheasants were the Class B runner-up, but have made the move to Class A RETURNING: Chastin Mohr (Sr.); Erica DeClark (Jr.); Raelin Jurgens (Jr., 7th at state in 100 hurdles); Jaiden Olson (Jr.); Karley Peters (Jr., Class B Track MVP, state champ in 100, 200 and 400); Rayna Mohr (Jr.); Mayson Preheim (So. ); Eliza Berens (Fr. ); Sarah Herlyn (Fr. ); Aubrey Kilbourn (Fr. ); Cierra Mohr (Fr. ); Alexis Even (8th, 6th at state in 400, 7th in 100, 8th in 200); Macy Kippes (8th); Ellie Travnicek (8th) NEWCOMER: Lainie Kaas (8th) it was,” Arens said. “I want to continue to improve and see how far I can go.” Arens, who has since signed to run at the University of South Dakota this fall, won the 3200-meter run, took Fuel Service & Ranch Supply For All Your CERTIFIED Restoration Services Boys’ & Girls’ Golf Menno COACH: Ryan Liebl ASSISTANTS: Ken Bruckner, Cindee Mutchelknaus, Tyler Handel VITALS: Region 5B RETURNING: Ashton Vaith (Sr., 5th at state in 100 hurdles); Paige Heckenlaible (Sr.); Eisley Sayler (Jr., state qualifier in triple jump and discus); Jaedyn Oplinger (Jr.); Hailey Handel (Jr.); Trinity Kocourek (So. ); Morgan Edelman (Fr., 3rd at state in pole vault); Jesse Munkvold (Fr. ); Carly Herrboldt (Fr. ); Adrian Nusz (Fr. ); Paityn Huber (8th); Raygen Diede (8th) NEWCOMERS: Kiara Nusz (Jr.); Paige Dyk (Fr. ); Kaylie Schemp (Fr. ); Bridget Vaith (8th); Anna Kludt (8th) Sondgeroth (Fr. ); Taryn Starr (Fr.) and the result was a 32-point performance (and three school records) for the Lady Warriors who finished second at the state meet. 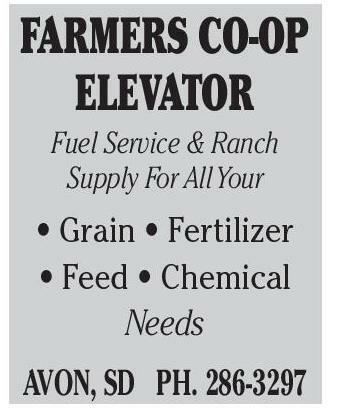 “Even though I did good at state last year, I don’t want to settle for how good FARMERS CO-OP ELEVATOR FloorTec Track & Field Knodel (Jr., shot put/sprints); Anna Orr (Jr., throws); Shannon Sokolowski (Jr., 2nd at state in 100 hurdles); Samantha Aune (So., sprints); Skylyn Fitzgerald (So., pole vault/sprints); Freja Kjeldseth (So., mid-distance); Isy Libby (So., mid-distance); Malloy O’Malley (So., jumps/sprints); Hailey P. Sees (So., middistance); Alison Logue (So., throws); Nora O’Malley (8th, state qualifier in 3200) NEWCOMERS: Morgan Dalluge (Sr.); Malin Solvang (Sr.); Morgan Bak (Jr.); Abbey Emmick (So. ); Emma McDonald (Fr. ); McKenna Mohr (Fr. ); Shelby Rosencranz (Fr. ); Hailey R. Sees (Fr. ), Kate Knodel (8th) Crofton’s Haley Arens, center, and Ainsworth’s Rylee Rice, right, start the Class C girls’ 1600-meter run at the 2017 Nebraska State Track Meet in Omaha. Rice won the event and Arens finished second. 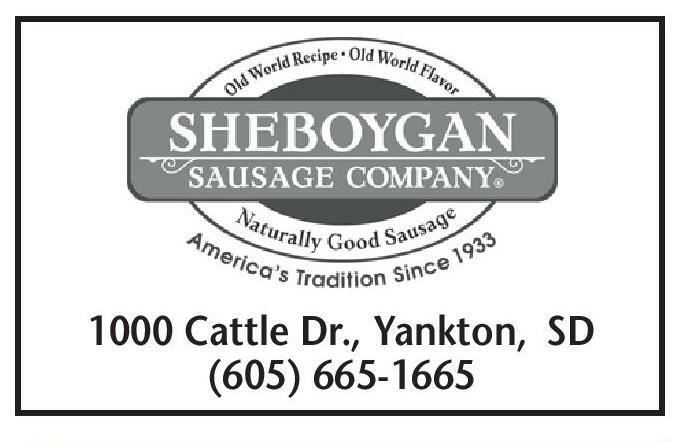 Pre-Region (Lakeview GC)	10 a.m. Slowey Construction, Inc. 2510 W. 31st. 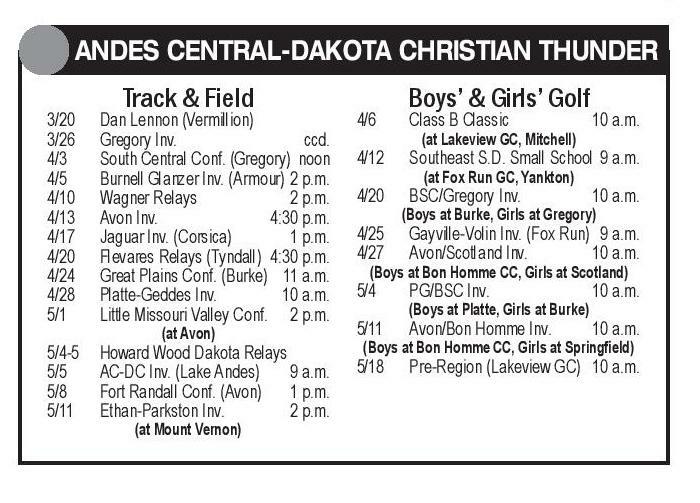 Yankton, SD (605) 665-8489 1000 Cattle Dr., Yankton, SD (605) 665-1665 ANDES CENTRAL-DAKOTA CHRISTIAN THUNDER Track & Field 3/20	3/26	4/3	4/5	4/10	4/13	4/17	4/20	4/24	4/28	5/1	Dan Lennon (Vermillion) Gregory Inv. ccd. South Central Conf. (Gregory)	noon Burnell Glanzer Inv. (Armour)	2 p.m. Wagner Relays	2 p.m. Avon Inv. 4:30 p.m. Jaguar Inv. 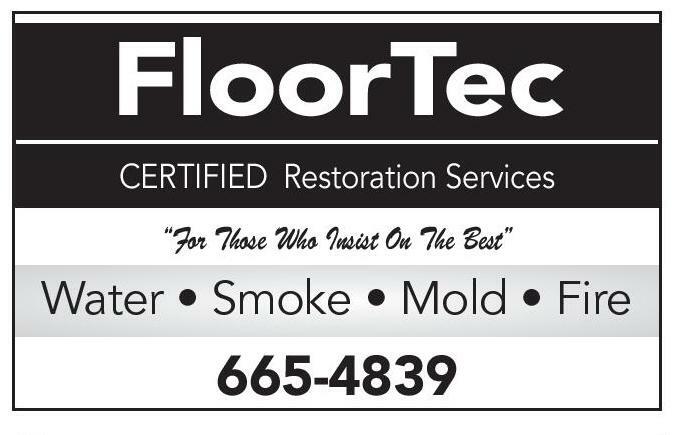 (Corsica)	1 p.m. Flevares Relays (Tyndall)	4:30 p.m. Great Plains Conf. 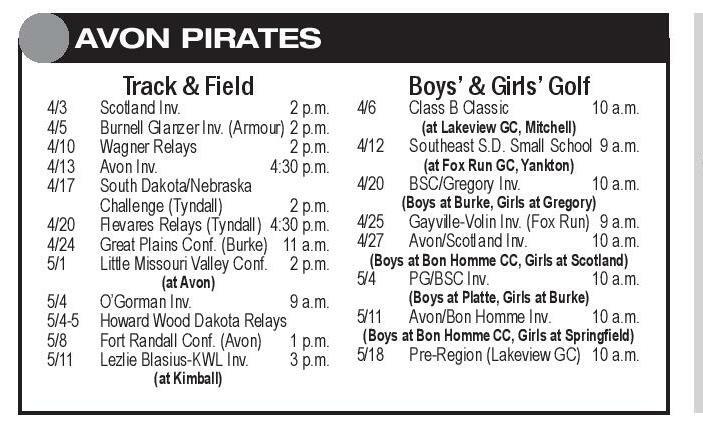 (Burke)	11 a.m. Platte-Geddes Inv. 10 a.m. Little Missouri Valley Conf. 2 p.m. 5/4-5	5/5	5/8	5/11	Howard Wood Dakota Relays AC-DC Inv. (Lake Andes)	9 a.m. Fort Randall Conf. (Avon)	1 p.m. Ethan-Parkston Inv. 2 p.m. (at Avon) (at Mount Vernon) 4/6	4/12	4/20	4/25	4/27	Boys’ & Girls’ Golf Class B Classic	(at Lakeview GC, Mitchell) 10 a.m. Southeast S.D. Small School	9 a.m. (at Fox Run GC, Yankton) BSC/Gregory Inv. 10 a.m. (Boys at Burke, Girls at Gregory) Gayville-Volin Inv. (Fox Run)	9 a.m. Avon/Scotland Inv. 10 a.m. (Boys at Bon Homme CC, Girls at Scotland) 5/4	5/11	PG/BSC Inv. 10 a.m. Avon/Bon Homme Inv. 10 a.m. (Boys at Platte, Girls at Burke) (Boys at Bon Homme CC, Girls at Springfield) 5/18	Pre-Region (Lakeview GC)	10 a.m.